When people ask me how I listen to music they’re often surprised to hear on a record player. We often have chats at work about it. There’s one lady who loves CDs and will never go digital and plenty of people with streaming services such as Google Music. But me, I love vinyls and have a small but growing collection of them. Of course while I’m on the go I’ll pop in my headphones and listen to music on my phone but at home, I’ll stick on a vinyl. 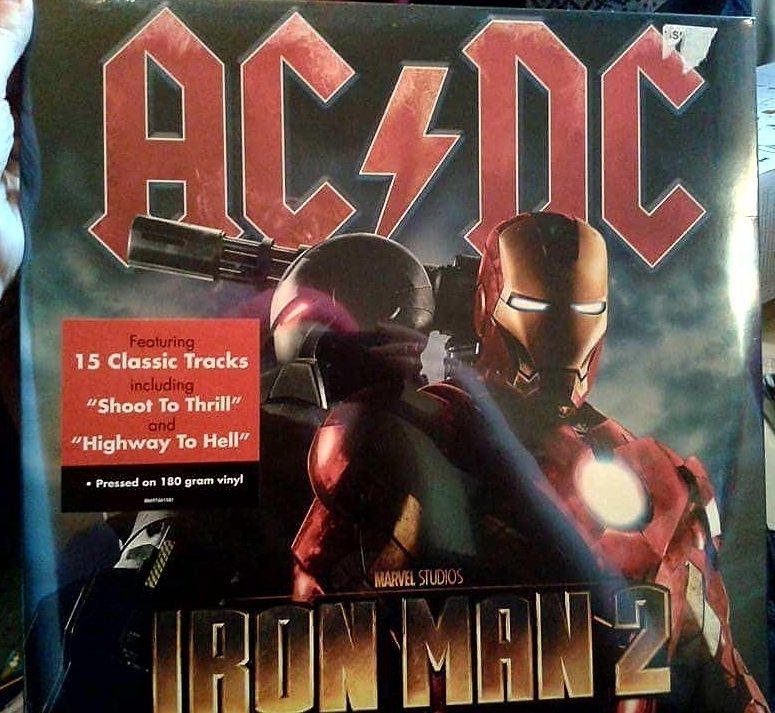 The first vinyl I got was the AC/DC Iron Man 2 soundtrack along with a modern style record player. It was a Christmas present from my parents and I use it frequently. Since then my collection has grown further and includes albums from my favourite bands, movie soundtracks and even an episode of Fawlty Towers. The majority of my vinyls are bouggt from vintage record stores, charity shops or car boot sales. You can always find some great bargains! I think my love of vinyls is influenced by my parents. They have a large collection themselves and I have fond memories of listening to vinyls with them when I was younger. Especially rocking out to the AC/DC song Let There Be Rock with my dad. My collection is stored in a wicker magazine rack. My plan is to own my favourite album by each of my favourite artists eventually. How do you like to listen to music? Any other vinyl lovers? I love vinyl, but I don’t collect it as much as I used to. It seems to be the cool thing to do these days, what with new bands releasing their new albums on vinyl. All the local bands I like are releasing their albums on vinyl and if I really like them, I buy on vinyl. Even though the music is readily available on iTunes, Spotify, and the like, if I want to own a physical copy I’d rather it be a vinyl than a CD. I couldn’t agree with you more about Vinyl records.Headphones are for travelling, Vinyl is for the home. Nothing better than the authenticity of a good record player. Nothing beats the crackle of vinyl. I inherited a large collection of vinyl, but since we moved we’ve not yet figured out where to place our record player. I hope one day we figure that out. Oh good for you! I think it’s very cool that you listen on records. They have definitely made a “comeback” in recent years! !